Crock Pot Crustless Chicken Pot Pie recipe is a good way to enjoy the flavors of a pot pie without all the carbs of a crust. 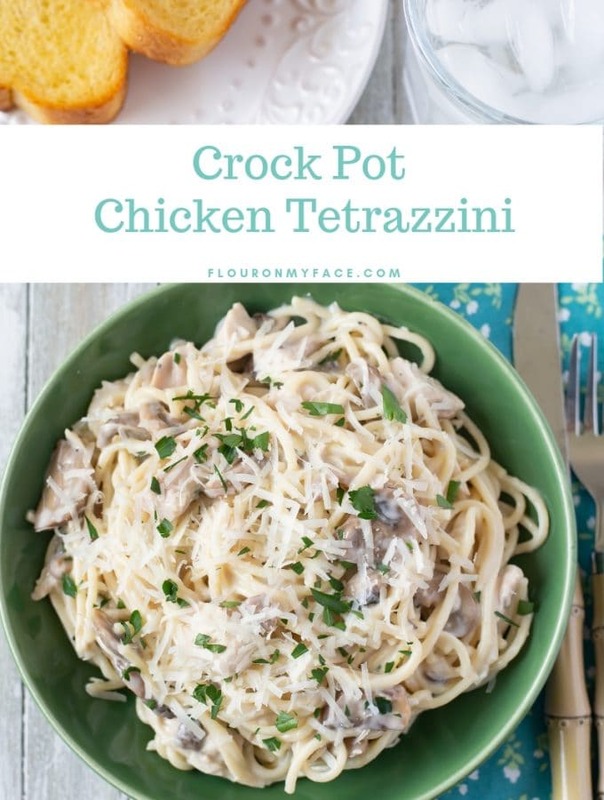 It is one of my favorite crock pot chicken recipes. I’ve mentioned a few times that I have been on a low carb diet for a while now. 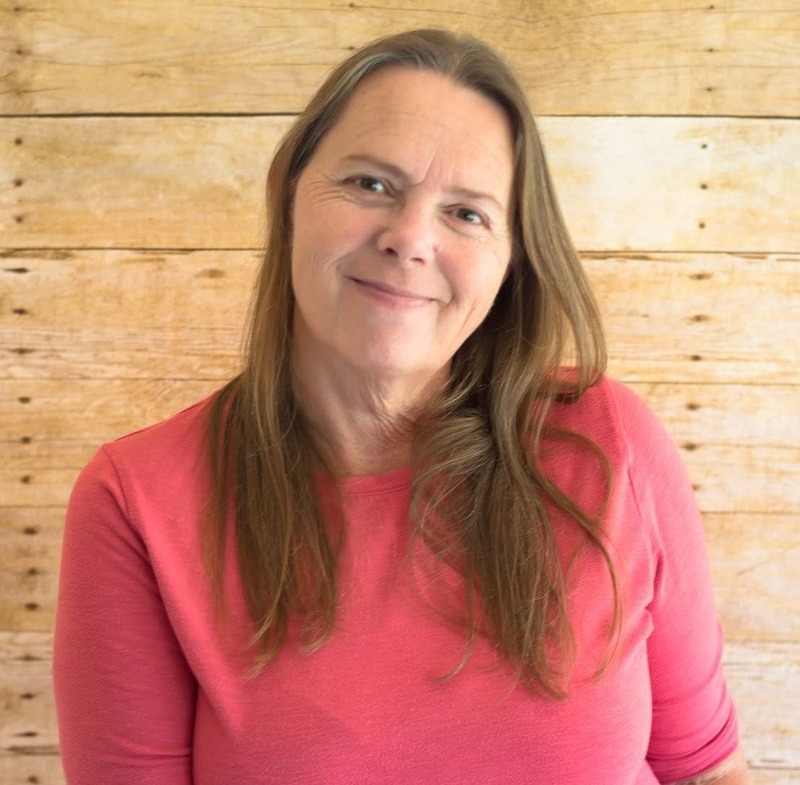 Actually, I wouldn’t consider it a low carb diet anymore but a way of life. It’s been two years this month since I made this huge lifestyle change in the way I eat. I’ve lost 60 pounds and have maintained the weight loss. YEAH! As much as I prefer homecooked meals sometimes I like to keep a few low carb meal options in the freezer for busy days when I just don’t have time to make lunch. This Crock Pot Crustless Chicken Pot Pie recipe is one of my favorite crock pot chicken recipes. I always fill a couple of freezer containers to save for lunch or dinner when I don’t feel like cooking. 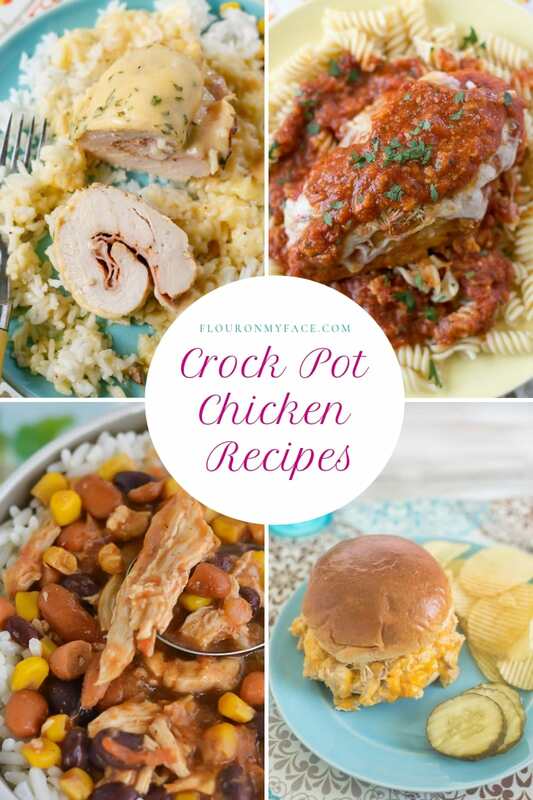 I put all my crock pot chicken recipes on one page so those of you who love chicken as much as I do can easily find all my crock pot chicken recipes. I recently tried the Crustless Chicken Pot Pie from Atkins. It was so good. But with most frozen food options, there is a huge amount of sodium in them. I’ve been keeping an eye on my sodium intake also. I’m okay with occasionally eating a frozen meal that is high in sodium but I try not to make a habit of it. I fell in love with the Atkins Crustless Chicken Pot Pie. So much that I decided I was going to make my own Copy Cat version of the Atkins meal so I could control the amount of sodium in my diet and still enjoy the flavors of the Crustless Chicken Pot Pie whenever I craved it. It is pretty easy to control your sodium intake when you make a recipe at home with real ingredients. This Crock Pot Crustless Chicken Pot Pie recipe has all the delicious flavors of the frozen one but takes so much better because it is homemade. Place the chicken in a 4-quart crock pot and season with seasoned salt and pepper. 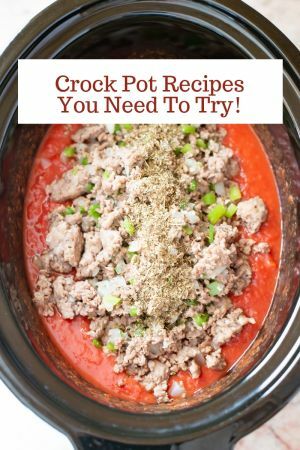 Add the next 8 ingredients to the crock pot and stir well. In a saucepan on the stove melt the butter. Add the salt and pepper and whisk. Add the flour and whisk well for about 1 minute to allow the butter and flour to brown slightly. Whisk the milk into the pot. On medium-high whisking continually bring to a boil. Boil while whisking until the sauce is the consistency of cooked pudding. Pour into the crock pot with the other ingredients (except the spinach) and stir well. Place a triple layer of paper towels over the crock pot and place the lid over the paper towels. Continue cooking on high for 2 more hours. Right before serving add the spinach and cook for a few minutes to heat and wilt. Enjoy all the flavors of an Atkins Crustless Chicken Pot Pie at home made with real ingredients and so much better for you! In a sauce pan on the stove melt the butter. Add the salt and pepper and whisk. Add the flour and whisk well for about 1 minute to allow the butter and flour to brown lightly. On medium high whisking continually bring to a boil. Right before serving add the spinach and cook a few more minutes to heat. 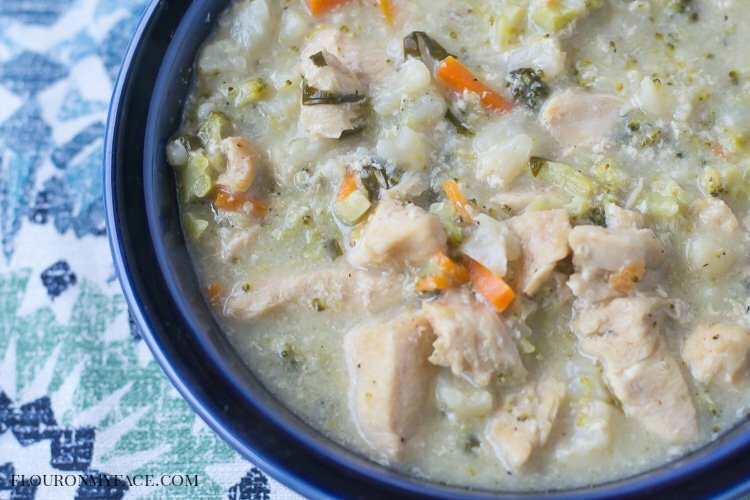 Have you converted one of your favorite frozen meals into a healthier homemade version? 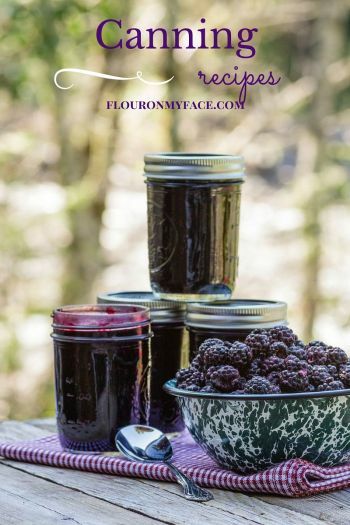 Share your recipe with me in the comments! 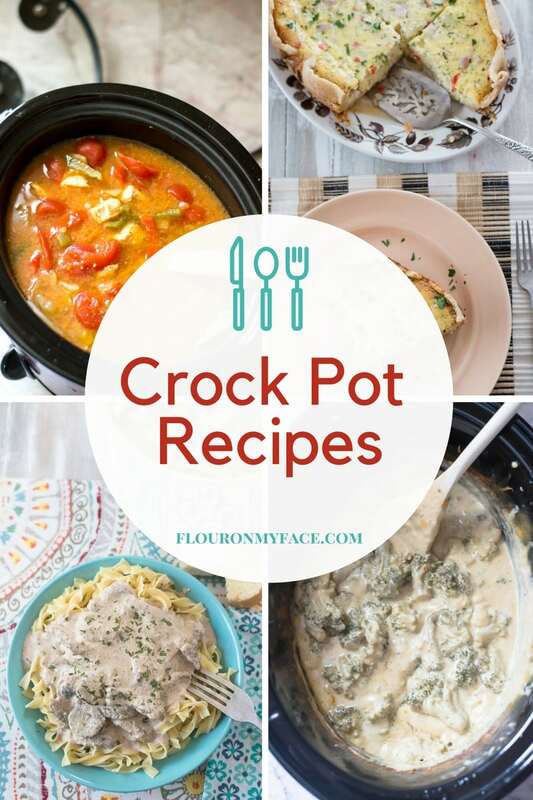 My Crock Pot Crustless Chicken Pot Pie recipes uses one of my favorite cream sauce bases. This sauce is so versatile I’ve used it in many recipes. 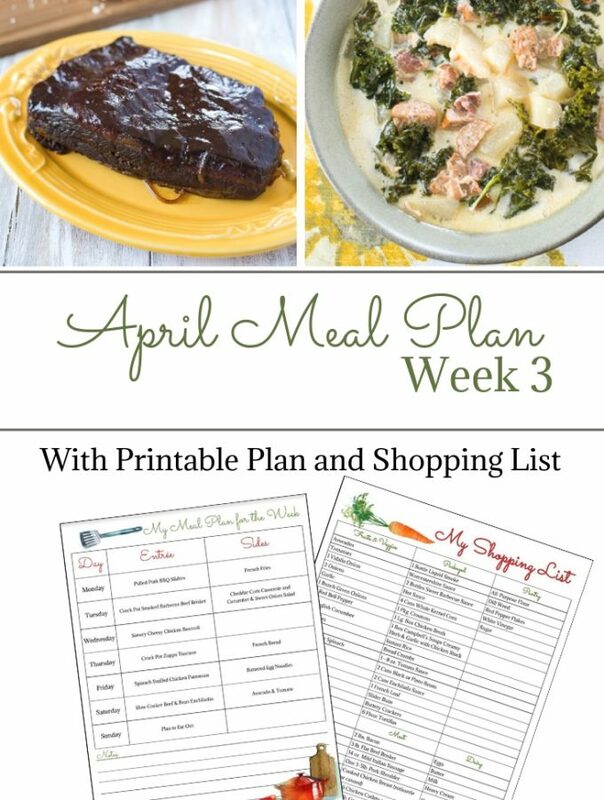 Here are a few more recipes using my homemade cream sauce recipe you might enjoy! 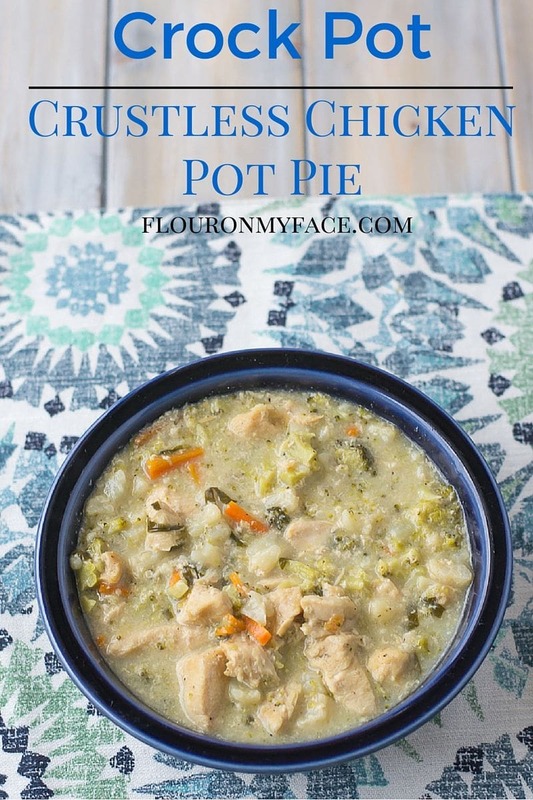 If your looking for more easy crock pot recipes like this Crock Pot Crustless Chicken Pot Pie recipe head over to my crock pot recipe page where you will find 200+ Crock Pot Recipes! Where does the sherry come into play? not one mention of it for cooking. Clay I updated the recipe. Exactly how much sherry is used? The recipe simply states a 1/4 cooking sherry. Would this be 1/4 cup? Yes it is 1/4 a cup of cooking sherry. My favorite is the Chicken Pot pie also, but what about the spinach? I will try this, SOON. And I am going to try to cut way back on my carbs for the same reason. Kimberly OOPs sometimes I am in such a hurry to share a delicious recipe I accidentally forget an ingredient! 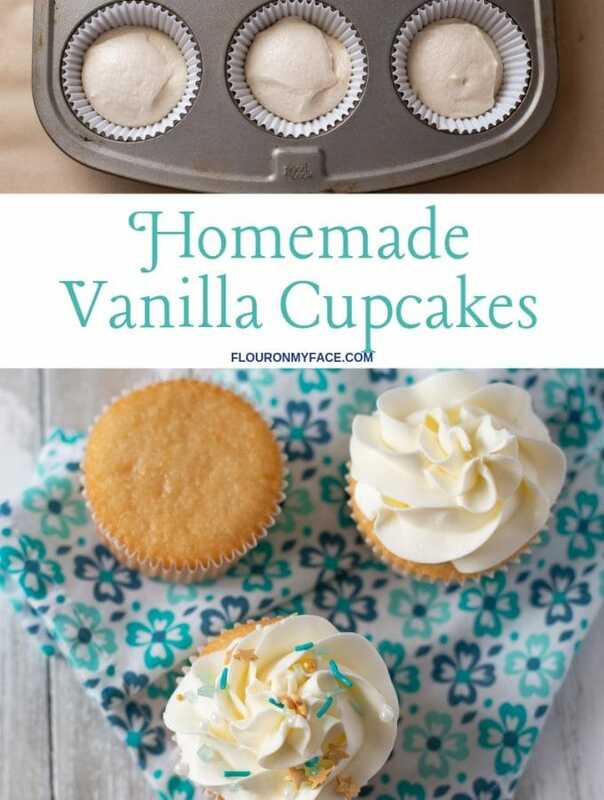 I’m heading over to update the recipe right now! Any way to do this with non-dairy milk and gluten-free flour? Thanks. I have never tried thickening anything with a gluten free flour but isn’t cornstarch gluten free? Hello, this is what I’ve been looking for! Sounds delicious! How many carbs per serving? 13.8g carbs and 2.2g of fiber per serving. Enjoy! Yes! I’ve been looking for an at home version of this. I love the Atkins one so much. Can’t wait to try!